The wealthiest households’ primary wealth is businesses and shares in businesses. 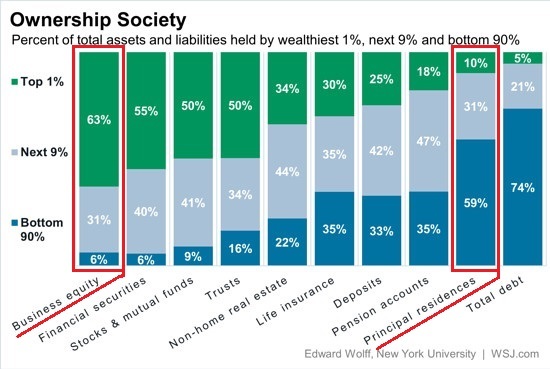 The bottom 90% depend on the family residence as a store of wealth, and on debt as a means of funding asset purchases and consumption. Primary residences were once a reliable store of wealth–a store that was accessible to working families who were willing to pinch pennies and save up a down payment. But now that housing has been financialized and globalized, it is prone to boom and bust cycles like every other risk-on financialized asset. Unfortunately, recent history shows that many middle-class households bought homes at the top and rode the post-bubble burst down. Those fortunate enough to own homes in bubble-prone regions may benefit from speculating in housing, but playing this speculative game requires cashing out at the top of the bubble–something few have the knack for. Building a profitable business isn’t easy. That’s why many of the wealthy let entrepreneurs take the risk of starting businesses and then buy the business for a premium once it has proven to be profitable. But many entrepreneurs refuse to sell out, preferring to hold their businesses as a family asset that can be passed on to the next generation. It’s also worth noting that the wealthiest 10% own over 90% of the securities and stocks, 84% of trusts (essentially tax havens) and almost 80% of non-home real estate (i.e. 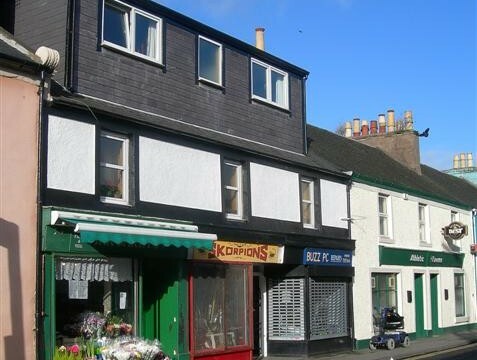 second homes and income-generating properties). Primary residences represent a mere 10% of the wealthiest 1%’s assets. Don’t finance your assets with debt; finance your income-producing assets with savings and sweat equity, not borrowed money. It is not accidental that the wealthiest 1% hold very modest levels of debt.